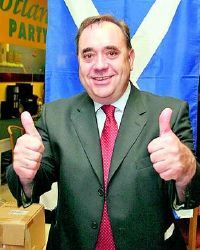 A triumphant Alex Salmond this evening thanked himself for his own “hard work, dedication and all-round brilliance” as he delivered his victory speech in Edinburgh following a historic Scottish parliament election. Mr. Salmond, who will now serve a second four-year term as President of Alex Salmond, was beaming with pride and smugness as he stepped off his helicopter to give the speech everyone had been waiting for. 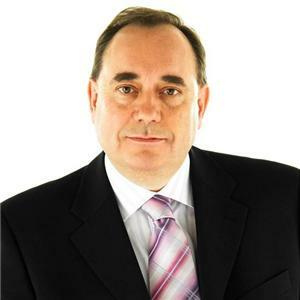 “I would like to promise the people of Scotland that my party and I will endeavour to do everything possible to further the cause of Alex Salmond,” said Mr. Salmond. Scotland’s First Minister Alex Salmond today reacted furiously to a new biography which accuses him of being capable of “explosive rages” and prone to angry outbursts. The book, titled Salmond: Against The Odds, quotes an unnamed nationalist source as saying that Mr Salmond could be “explosive in his rage” and details the often difficult relationship between the First Minister and his staff. However, the SNP leader has responded angrily to the claims, which he says are untrue and hurtful.